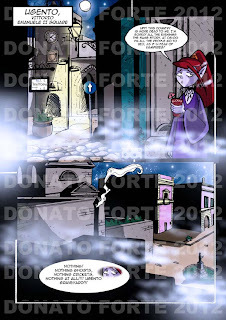 The 3rd page of "MISS VAMPIRE AND THE MYSTERIOUS SALENTO". I want to remember you the Newsletter of the blog. You can subscribe with the form at the top. Insert your correct email and click "Submit". Look at your email and at the message "FeedBurner Email Subscriptions", click on link and your subscription is ready. La terza pagina di "MISS VAMPIRE AND THE MYSTERIOUS SALENTO". Voglio ricordarvi la Newsletter del blog. Potete iscrivervi tramite il form in alto. Inserite la vostra email correttamente e cliccate su "Submit". Controllate la vostra email e aprite il messaggio "FeedBurner Email Subscriptions", cliccate sul link che vi appare e l'iscrizione è fatta.